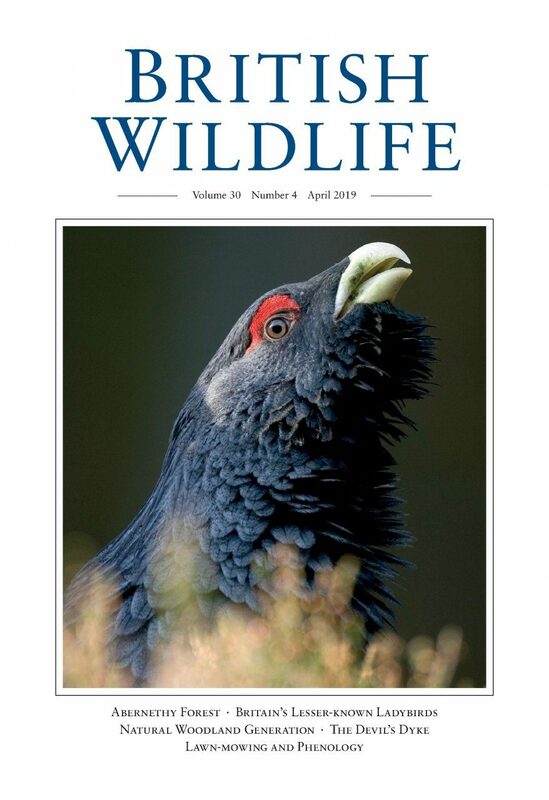 British Wildlife has been published in an uninterrupted run of 6 issues per year since October 1989. New issues are usually available in the third week of the month of publication, in October, December, February, April, June and August. Many of the issues are available to buy individually. Single back issues are £6.50 each, three or more back issues £4.50 each; postage to UK addresses is included. New magazine subscribers receive two free issues of their choice. Classroom sets of British Wildlife for educational purposes or for nature study groups (minimum of 6 copies of the same issue) are available at a discount, please call or email for more details. A sample copy of the magazine can be viewed online here. National Nature Reserves in Crisis? – The Long-horned Bee – Britain's Natural Landscapes: Evidence from Ecology – 'Natural' Vegetation: The Pollen-eye View – What is a Lichen?